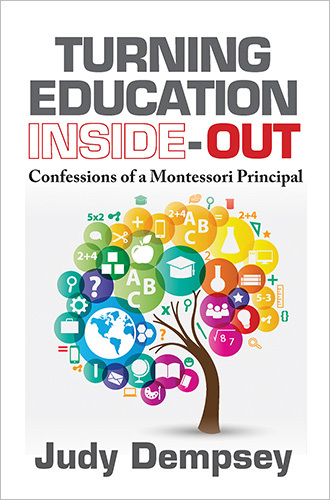 Turning Education Inside-Out shares the experiences and insight of a Montessori educator over the course of her 40 years as a Montessori teacher, administrator, school owner, and Montessori teacher trainer. It addresses the need for parents and educators to better understand the Montessori philosophy and to embrace it as a means to solve the problems inherent in the traditional structure of education in the United States. Despite the fact that Dr. Maria Montessori created this method over 100 years ago, most of her discoveries about how children learn and the effect of their environment on their developing brains have only recently been validated by current technology and specialists in brain development. These recent discoveries and the real-world success of numerous high-profile Montessori-educated entrepreneurs have helped the popularity of this educational philosophy.